^ Buckley, David. Strange Fascination – David Bowie: The Definitive Story Revised & Updated. London: Virgin Publishing. 2005: 90 . ISBN 0-7535-1002-2. 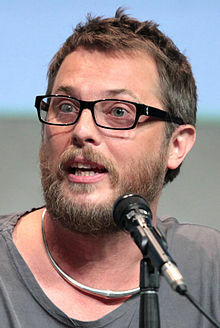 On 30 May 1971, Bowie's son, Duncan Zowie Haywood Jones, was born in Bromley Hospital. ^ Graham, Caroline. Zowie Bowie: How a son of rock royalty survived a bitter rift with his mother to earn genuine success. The Daily Mail (London: dailymail.co.uk). 8 August 2009 [6 October 2012]. ^ Aris, Brian. "The wedding of David Bowie and Iman". Hello!, 13 June 1992. ^ Will Jake Gyllenhaal Crack Duncan Jones' Source Code?. DreadCentral. ^ "'Warcraft' Movie Lands 'Source Code' Director (Exclusive)". The Hollywood Reporter, 30 January 2013.